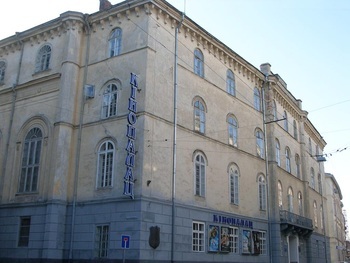 Kinopalats Cinema Network is the oldest in Ukraine. The first cinema opened in Kiev in 1998. The copernicus "Copernicus" in Lviv was opened in early 2004. The room for 146 seats, equipped with the sound system DOLBY DIGITAL SURROUND EX, acoustic "JBL", a panoramic modern screen. Comfortable, soft chairs in the cinema hall.